Built for an experienced owner, designers Michael Leach and Reymond Langton Design worked on the exterior and interior design of the project respectively. The judges all remarked on the sophistication of Volpini 2’s interior lighting. 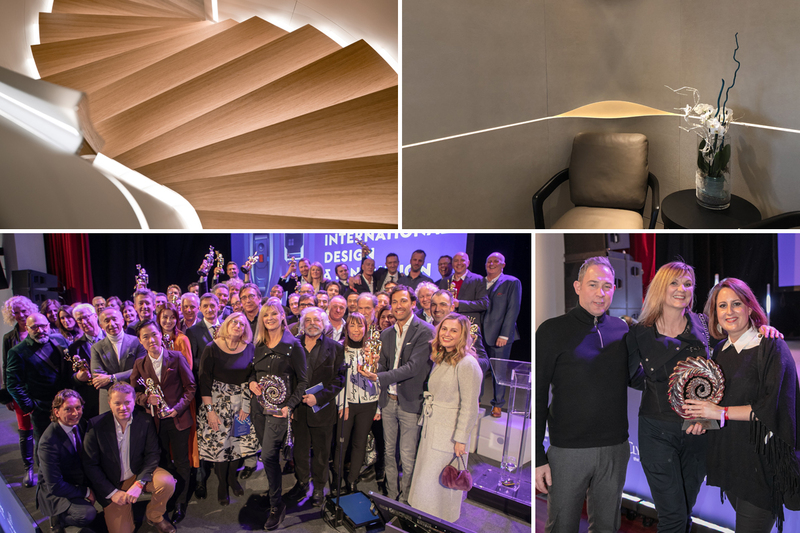 From stair treads that appear to oat on glowing risers to ambient light that escapes from pockets stitched into walls, the lighting stood out among all interior entrants. Reymond Langton and Amels deserve kudos for the attention and expertise brought to the lighting plan of the inaugural boat of this series. Earlier today, Feadship launched one of its largest superyacht projects to date when the 93-metre motor yacht 814 took to the water at its Royal van Lent facility in Kaag, the Netherlands. Project 814 was commissioned by an experienced owner who drafted Michael Leach Design and Reymond Langton to design the exterior and interior of the vessel respectively. De Voogt Naval Architects are behind the vessel’s naval architecture. 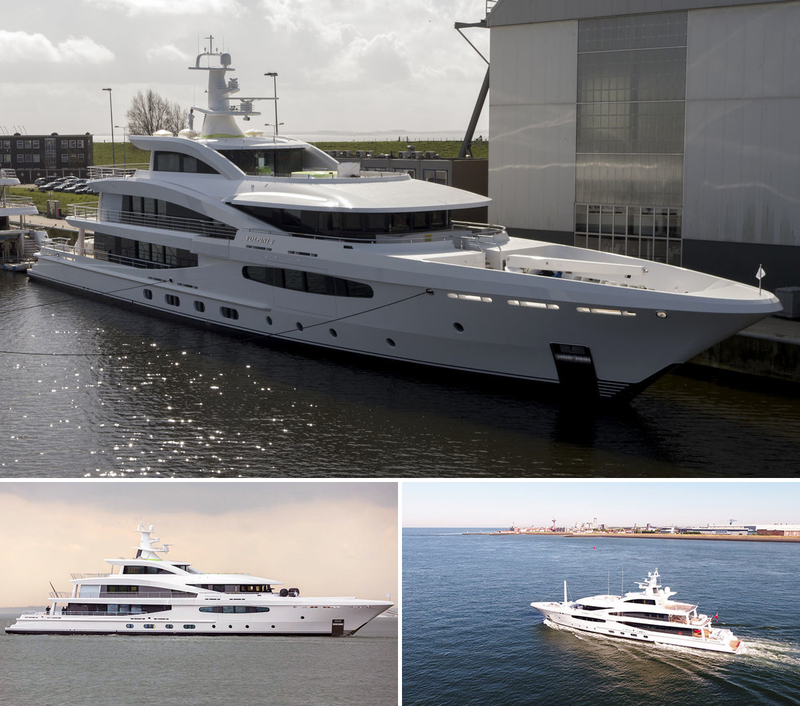 SuperYacht Times was at the scene in Kaag today where the team took these images. Previously known as Project Maia, Omaha reached a top speed of 16 knots during her “intensive” sea trials which took place in favourable conditions. The yard also reported that the 499GT steel and aluminium yacht was “extremely manoeuvrable” and credited this to her large rudders and power steering unit. Omaha’s sister ship Project Triton is currently under construction at the shipyard and is set for a February 2020 delivery. Dutch builder Amels has successfully delivered its latest superyacht, Volpini 2 – its first hybrid-powered vessel. The 57.7-metre Limited Edition yacht is the first delivered from the Amels 188 design, marking the world’s first Tier III compliant new build yacht with Amels’ own hybrid switchboard and waste heat recovery systems. Following her delivery, Volpini 2 is currently on her way to the Mediterranean. Amels first introduced its Limited Edition 188 design at the Monaco Yacht show in 2015. 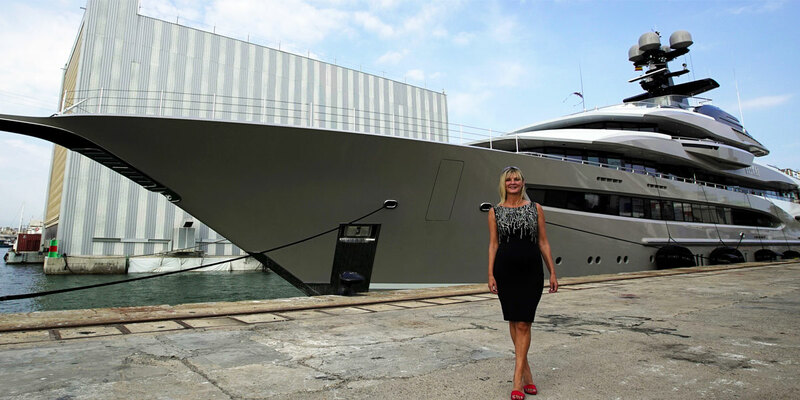 The eighth edition in this successful range, not only is Volpini 2 longer than her sisters from the Amels 180 series, she is also larger in size, featuring an internal volume of 970 GT. The Dutch builder teamed up with designer Tim Heywood once more to create the exterior design of the project, while her owners chose to work with Reymond Langton for her custom interiors. Able to accommodate up to 12 guests, Volpini 2 features an 80-square-metre master suite, with a folding balcony in addition to six suites, including a VIP suite on the bridge deck. In addition, her crew quarters allow for a crew of up to 13. Other stand out features include a 30-square-metre beach club at the stern, next to a wellness centre and gym. The International Maritime Organization’s Tier III emissions regulations currently require new motor yachts over 500 GT with a global cruising area and a keel laid after 1 January 2016 to reduce the harmful NOX emissions in their engine exhaust gases by approximately 70 percent. 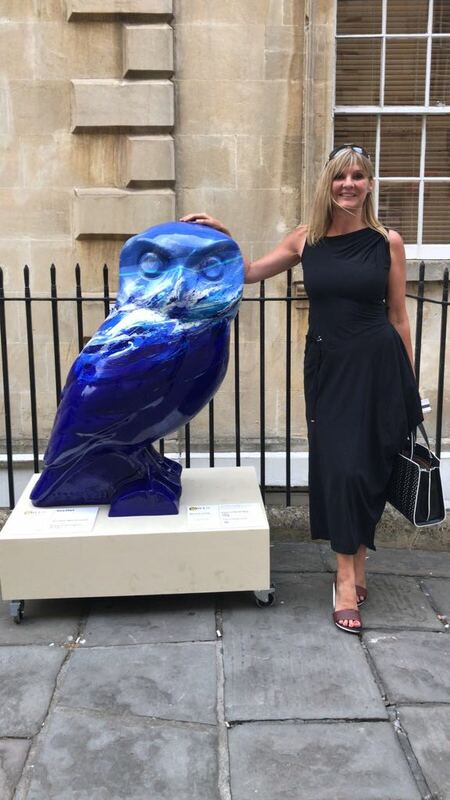 At Reymond Langton Design we are proud to be the sponsor of the Sea Owl for the Minerva’s owls of Bath 2018. Our owl was designed and created by the talented artist Annabel Menheneott. Annabel is a contemporary artist based in Bath who produces dramatic seascapes captured in acrylics, reflecting the shifting coastal environment, using bold, strong and purposeful brush strokes, palette knives and large brushes allow Annabel the freedom to create exciting painterly marks. Annabel has exhibited nationally and more recently at the Royal Academy as part of the Summer Exhibition preview events in aid of Marie Curie where she will return this July. You can find our owl located outside our offices in Bath along North Parade Buildings. 98 metre Abeking & Rasmussen yacht Aviva was spotted making her way up the Thames in London on July 2, 2018. The yacht, which was last seen in New York just a month ago, passed some of the British capital’s famous riverside landmarks before finally anchoring in front of Tower Bridge. Delivered in 2017, Aviva was designed by Reymond Langton Design and offers accommodation for up to 16 guests. Her roomy 17.2 metre beam makes room for a number of impressive lifestyle features, including a full-size padel court, which won her a Judges’ Special Award at the World Superyacht Awards 2018. On Saturday 19th May 2018 Reymond Langton were proud to win a Neptune for our latest design Aviva during The World Superyacht Awards in Florence. Aviva won the award for Judges Special Award. Please see the article below for words from judges and Boat International. There was little doubt among the judges that Aviva is not only extremely well built, but a very special yacht. From first sight, her flowing modern lines and attractive hull colour draws one’s attention but the thrill continues for those privileged to see her interior, which is perfectly customised to the needs of an owner who lives aboard full time. Flowing lines also dominate an agreeable general arrangement plan, but the most unexpected feature is the padel court (one third the size of an LTA court) that sits at the heart of her lower deck, a quite unique facility that is used every day by the owner, guests or crew. So many judges were enthusiastic about this yacht – a close runner-up in this class – that the award of a Neptune in the form of a Judges’ Special Award was proposed and readily accepted by the whole jury. Not too many years ago if someone was asked to name a female yacht designer, it would have been tricky to think of even one. Now times are changing and it isn’t just in design. Women have been making their mark across the industry and they’re making a big impact. In honour of International Women’s Day, we have been catching up with a few of the fabulous women in the business to find out how they got into yachting, why they are so passionate about it and whether they feel happiest on land or on the water. 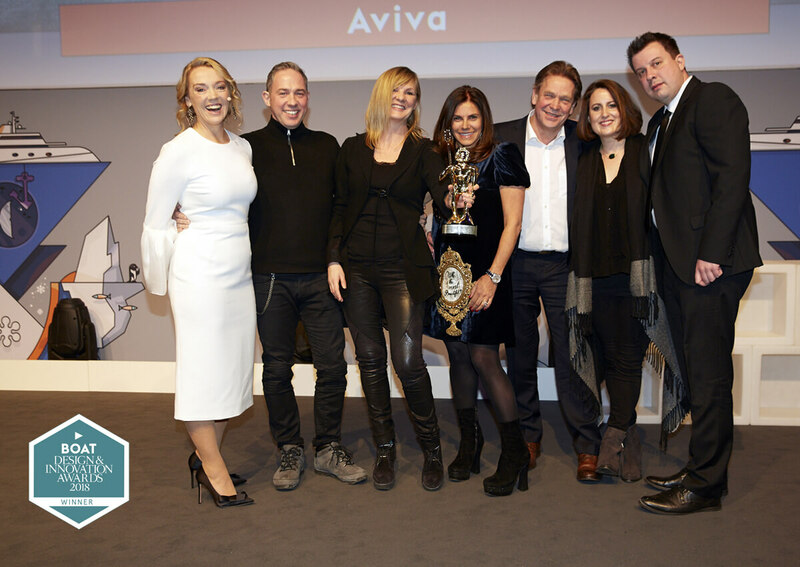 We are so proud to have won the Best Lifestyle Feature Design for Aviva’s very impressive indoor padel tennis court in Kitzbuhel last night. Continuing to attract an impressive selection of superyachts that make their way to northern European countries ahead of the winter season, the city of Bordeaux recently hosted the 95.2-metre Lürssen motor yacht Kismet along the banks of the Garonne river. Kismet, launched in 2014 as project Global, features a glistening golden exterior design by Espen Øino International as well as an interior from the drawing boards of Reymond Langton Design. Not visible on this picture is the yacht’s characteristic striking jaguar figurehead on the bow. Since having departed Bordeaux, Kismet is now heading to London as her next destination. 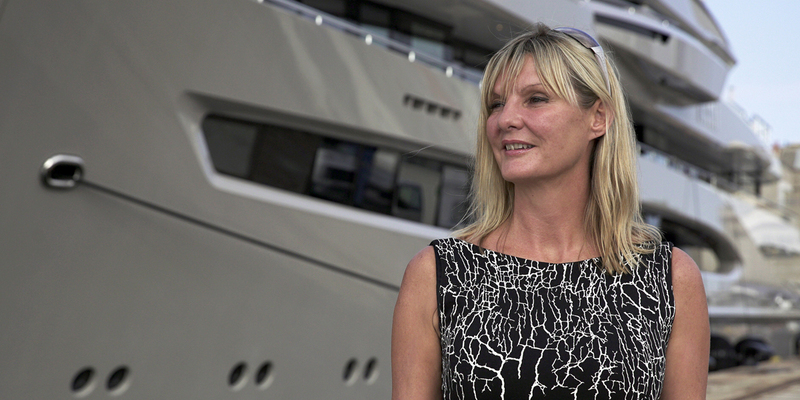 Reymond Langton feature in the upcoming October edition of The Superyacht Times featuring Pascale Reymond. The first hull in the 57 metre AMELS Limited Editions 188 series has been sold with Ben Young at Superyacht Management representing the buyer. Currently being completed by the Dutch yard, this displacement yacht features exterior styling by Tim Heywood and an interior by the Reymond Langton design studio. This is the eighth design in this highly successful range, which has seen more than 20 hulls over 52 metres since the first Limited Editions 171 Deniki hit the water in 2007. Some of the team enjoying a weekend in Florence, with others in the industry. The Palazzo Vecchio was the beautiful venue for the second year of the Boat International’s prestigious awards ceremony. Photo (above - from left to right): Rebecca Sawyer, Andrew Langton, Pascale Reymond, Naomi Tobin, Sarah Macaree and Jason Macaree. Photo (top right - from left to right): Daniela, Kate, Pascale and Terrence. Photo (bottom right): Pascale Reymond and Kia Dittmar. Ten years ago Reymond Langton Design celebrated the launch of the previous Aviva which featured a number of innovative design features, such as the vertical bow and contrasting grey coloured hull. Now the same team has collaborated to create a new Aviva that improves and adds to that original, forward thinking concept in every way – once again the biggest launch from Abeking & Rasmussen, featuring a fresh and dynamic contemporary exterior design, unique, highly personalised layout for the interior and a cutting edge technical platform. See the video below of Aviva leaving Aberking & Rasmussen in Bremen and off on her first journey. Reymond Langton Design have been proud to work with the team at Boat International, who were dedicated to creating the wonderful first volume of the annual publication FutureYachts. This publication is showcasing innovation for the yachts of tomorrow. The bookazine is informative, innovative and completely different to any publication in the industry. Following her launch at the Abeking & Rasmussen shipyard in January this year, the 98-metre superyacht Aviva was put to the test yesterday out on the North Sea. The SYT media team caught her in action for the first time as she sliced through the waters off the German coast during sea trials as captured in these exclusive aerial photos by photographer Tom van Oossanen. Aviva’s design is the work of design studio Reymond Langton, who also designed her owner’s smaller, 68-metre, yacht by the same name that was launched back in 2007. The team worked with Toby Silverton on the exterior of the yacht. Her gigantic interior spaces are described by the yard as ‘mystical’. The layout was designed to incorporate a full-sized paddle tennis court that measures an impressive 20 metres x 10 metres x 6 metres. The effects of her efficient hull shape, said to reduce drag by up to 20%, is clearly visible in these images as she powered through the calm waters off Wilhelmshaven driven by her hybrid propulsion system that allows for a top speed of 11 knots without the use of her main engines. With outfitting on board virtually complete, Aviva is expected to be handed over to her owner upon successful completion of her sea trials. Click here to see the full article by Superyacht Times. 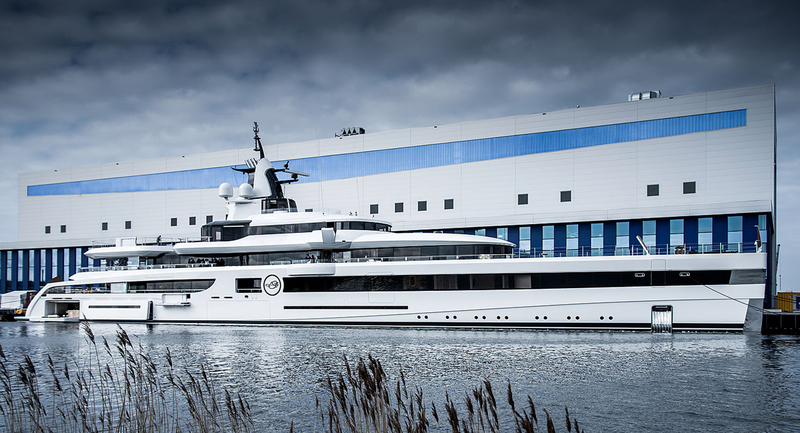 The 50 metre superyacht has hit the water for the first time at Dutch yard Heesen, this week Project Maia was uncovered at its shipyard in Oss. Built on speculation, this full displacement steel and aluminium yacht features exterior design by Clifford Denn and interior by Reymond Langton Design, which is the same two studios that previously collaborated on the Heesen’s 2015 launch Ann G.
The project is due to complete in 2018. The 8th of March is International Women’s Day – a day to celebrate the gains made towards women’s equality in workplaces and societies across the world, and to draw attention to current women’s issues and push for greater social change. The yachting industry is filled with female talent, with architects and designers from both sides of the Atlantic creating innovative, bespoke and award-winning designs. The list below is by no means comprehensive but showcases some of the amazing talents of recent years. 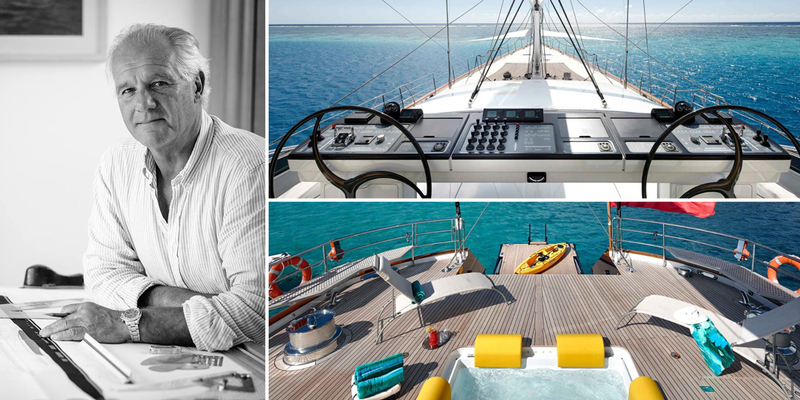 Since opening Reymond Langton Design in 2001, Pascale Reymond and co-founder Andrew Langton have created the impressive interiors of many luxury yachts including TITAN and SERENE from Abeking & Rasmussen and Fincantieri amongst others. Our very own Rebecca Sawyer was asked by Boat International to participate in the panel during Legends vs. new generations discussion on the second day of the symposium. This is where we heard how the legends of the industry first started their journey in yacht design and reviewed a selection of their infamous yachts, alongside the new minds and talents of the industry. A new dawn of the Aviva age is about to begin as German shipyard Abeking & Rasmussen prepares for the launch of its new flagship. The 98-metre Aviva, as displayed by her active AIS signal, is waiting patiently on the banks of the river Weser outside Bremen where she is expected to be launched soon. SYT photographer Tom van Oossanen is at the shipyard where he took the following photos. The Reymond Langton-designed yacht is the largest completed project to date for both the British design studio and Abeking & Rasmussen. Stay tuned as we bring you the latest developments from Bremen about this exciting project. To see full article please click here. 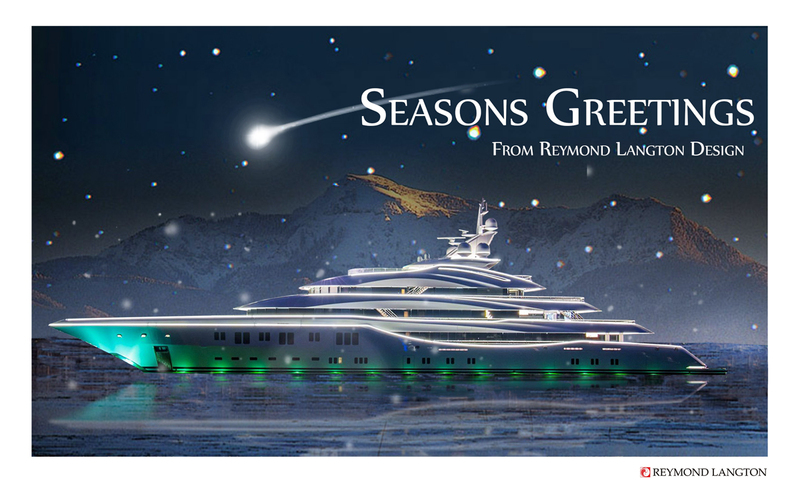 Reymond Langton Design is excited to see the unveiling of our latest 98m project. Marking another successful collaboration with Abeking & Rasmussen, with the interior and exterior developed in close co-operation with a very experienced repeat Client who had a clear vision for the new vessel, resulting in a highly personal layout, with some unique features never before seen on board a superyacht. The exterior has been carefully considered, taking into account the overall length, specific demands of the naval architecture and sea-going performance of the yacht and accommodating larger than usual interior heights, the concept has taken cues from automotive design to create a powerful, modern profile, with taut, chamfered elements of the superstructure creating a strong contrast of light and shade that lead the eye and give the superstructure a sleek, purposeful appearance, enhanced by the metallic silver paintwork and dark contrasting details. 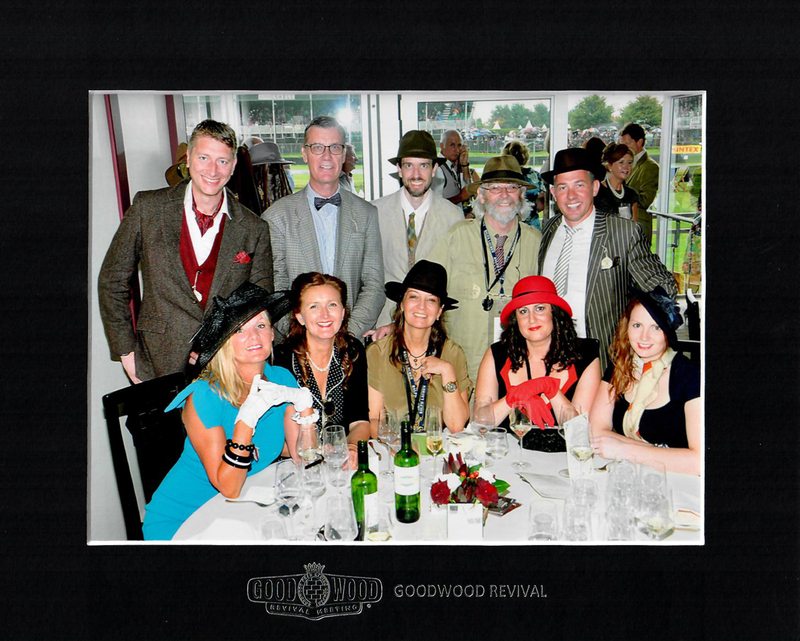 Members of the Reymond Langton team enjoyed the thrill of speed at the Goodwood Revival last weekend, along with a few industry friends joining the table, including Terrence Disdale, Daniela Zulli and Toby Silverton. Everyone embraced the vintage theme, despite the typical British summer weather, and the chance to see iconic pieces of racing machinery in action. Thank you to our friends at Compass Tenders for arranging the Salvadori Pavilion. Reymond Langton are proud to sponsor a plaque remembering an extraordinary Victorian woman who travelled across the Americas documenting the region’s ancient civilisations which was unveiled on Tuesday 19th July 2016.The plaque is located outside Adela Breton’s family home at 15 Camden Crescent (also previously owned by Pascale Reymond & Andrew Langton). 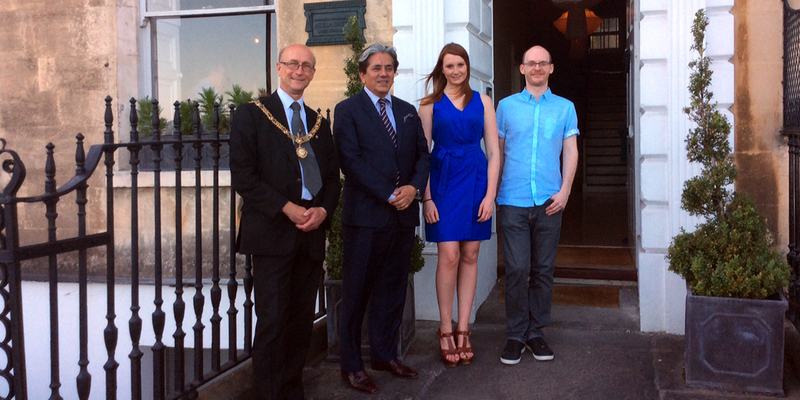 The plaque was unveiled by David Najera, Minister Embassy of Mexico to the UK. Mr Nagera then continued to give a lecture on aspects of world affairs from Mexico’s perspective at the Bath Royal Literary and Scientific Institution. 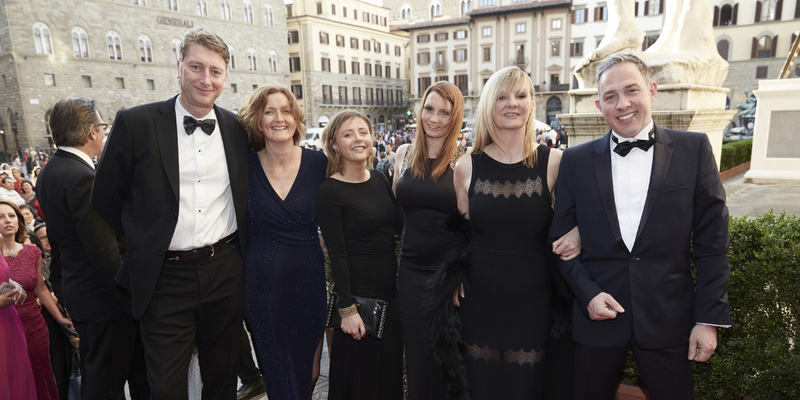 Some of the team enjoying a weekend in Florence, pictured on the red carpet outside Palazzo Vecchio. 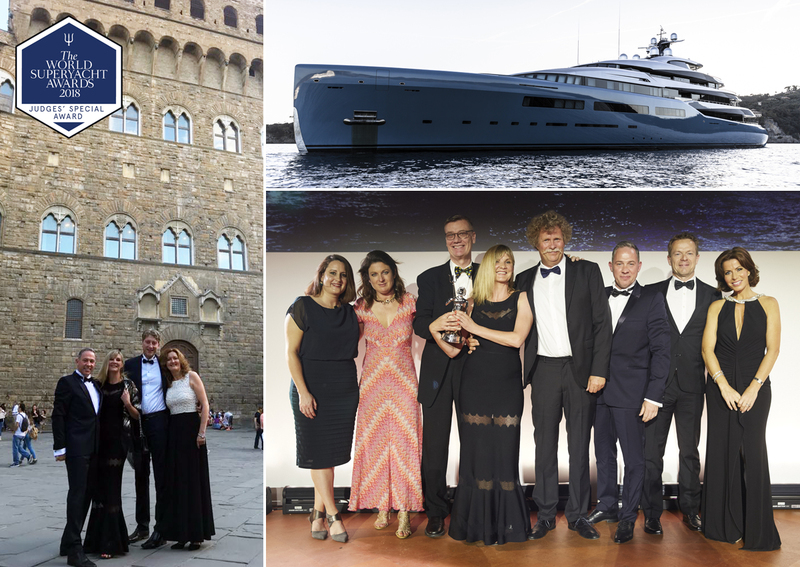 The Palazzo Vecchio was the beautiful venue for this year’s Boat International’s prestigious awards ceremony. 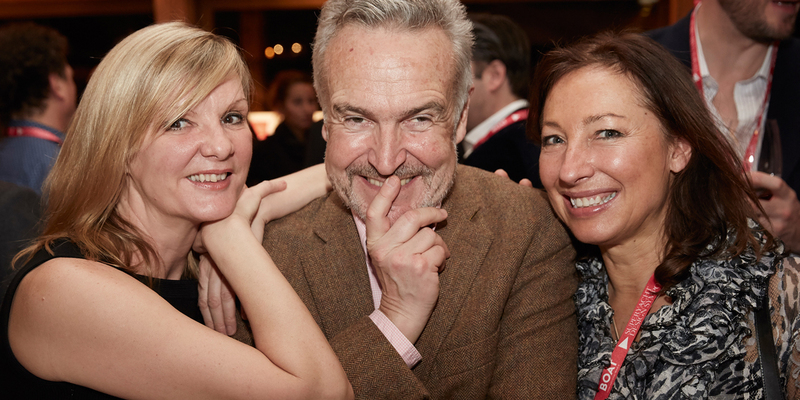 Creative inspiration met Alpine cheer at the 2016 Superyacht Design Symposium in Kitzbuhel, Austria. Asia Boating Awards honours the best of the best in Asian and international yachting for their quality products and services. Entering into the 12th year the awards return to Singapore this year. The awards were held on Thursday 7th April at ONE°15 Marina Club during the Singapore Yacht Show, featuring a select group of VIPs, HNWIs and key personalities in the yachting industry. We are thrilled to announce that Lady Lara has won the Best Yacht Category. 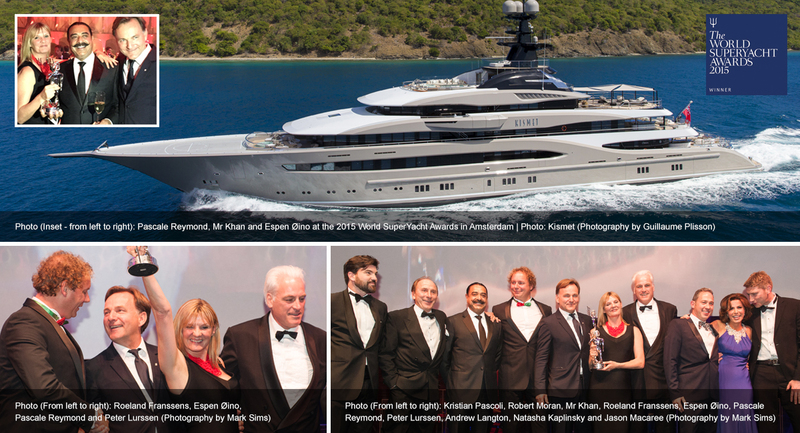 The award recognises the best of yacht design, either for a production boat model, or for a fully customised boat. Originality, effectiveness, functionality and form in both layout and look are the basis for this award. To read the Boat International’s full article of tributes please click here. Are clients and designers in a master-slaverelationship? At what point do the designer’s professional obligations give way to his personal artistic conscience? The session was moderated by Stephen Bayley, Chairman of the Superyacht Design Symposium. Pascale Reymond was delighted to be interviewed by Michael and Frances Howorth for the Megayacht News Leadership Series. Click here to read the article to find out about and how Pascale’s diverse abilities are her strengths, and what she enjoys most about the design process. Click here to download the interview in a PDF format. Lady Lara has entered the Top 101 of the world’s largest superyachts. She is our latest yacht to be launched and at Reymond Langton design we are incredibly proud of her, please see below the new entry feature of Lady Lara taking the 51st position. The article reads: This 299-footer would definitely also feature in a list of the most beautiful yachts in the world. Exterior and interior design comes from the boards of Reymond Langton Design, a decision influenced by the desire to create a harmonious balance between spaces inside and out. Sweeping, sculptured curves give Lady Lara a feminine elegance and the interior reportedly flows just as sinuously. 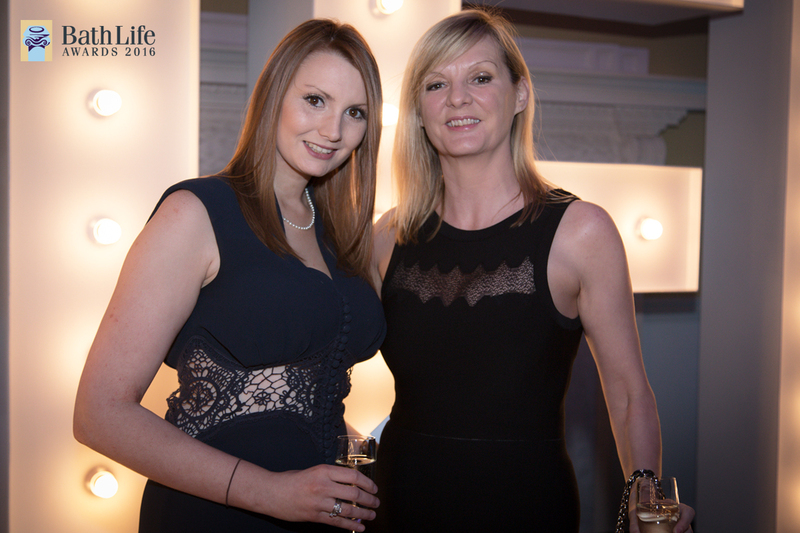 At Reymond Langton Design we are proud to announce that the team has been nominated for the Bath Life Awards 2016. The awards celebrate the best of Bath businesses and we are honoured to be chosen as a finalist for the Creative award. Lighting of a yacht at night is truly an art form. We used to work endlessly to make sure our yachts looked great at night. The photo below from SuperYachtTimes.com shows you the absolutely best lit yacht ever…period! Lady Lara designed by Reymond Langton Design is stunning, day or night, but my goodness the lighting on this yacht takes it to a whole new level. 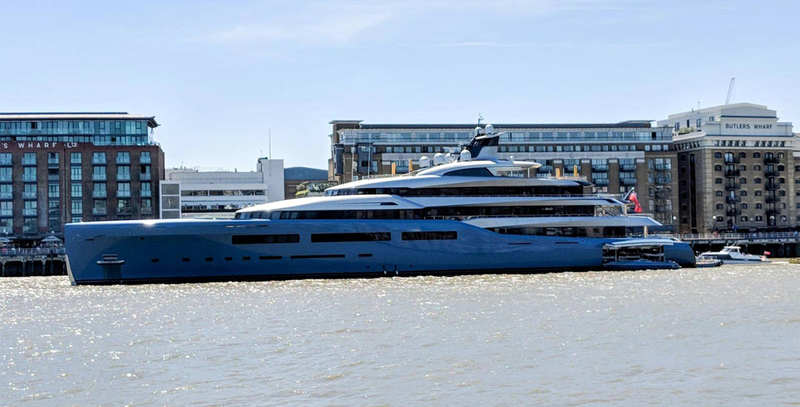 The all-new 91m Superyacht Lady Lara (formerly Project Orchid) by Lürssen was captured by Tom van Oossanen, while anchored in Amsterdam. This is the second port of call for the breath-taking Superyacht Lady Lara, following her maiden voyage to Norway. From Amsterdam, Lady Lara is expected to cross the Atlantic to enjoy the sunny weather in Florida, the Bahamas and The Eastern Caribbean islands in the winter season. Lürssen has delivered the Lady Lara after she successfully completed sea trials in the summer. The fantastic lighting consultants for Lady Lara are Lighting Design International. 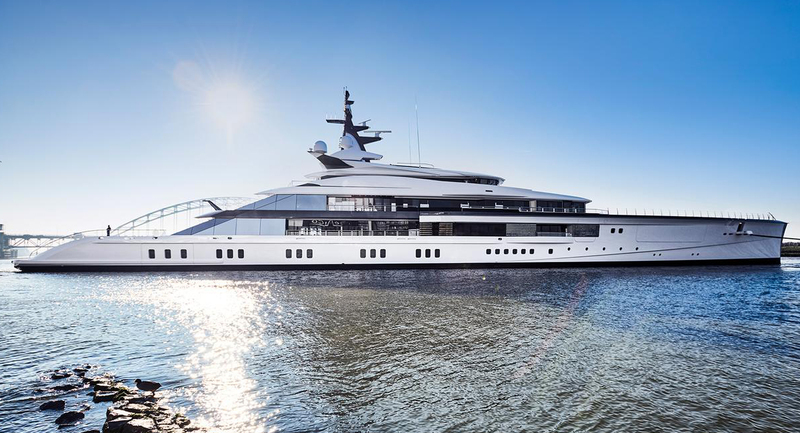 Lürssen has delivered 91 metre superyacht Lady Lara, previously known as Project Orchid, after she successfully completed sea trials in July. Reymond Langton Design have been responsible for the interior and exterior design. Please see below Piano Films video that has captures the sweeping curves and elegant proportions that give the vessel a feminine beauty. However moving closer allows the strong, masculine details to emerge; sharp lines define the strong, sculptural surfaces that have been carefully styled to create a sharp contrast of highlight and shadow that lends the superstructure a unique form that subtly changes in different lights as the sun moves across the sky. This summer, Pascale, Andrew and Jason have been busy working with Icon films in the UK, Germany, France and during the Monaco Yacht Show. Icon Films proudly presents an insight into the secret world of super luxury mega yachts, and at Reymond Langton Design we were excited to be offered the opportunity to be involved. The Reymond Langton Design team enjoyed this experience and are delighted that they have been included on the documentary, which was broadcast on Sunday 15th November 2015 on Channel 4. 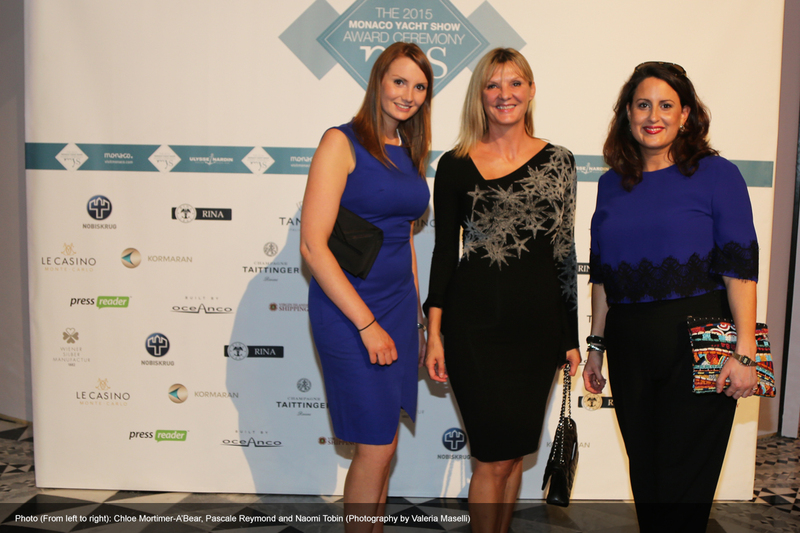 The evening before the Monaco Yacht Show commenced, saw the presentation of the Monaco Yacht Show Awards during the 2015 MYS Gala inaugural party. Ann G was nominated for The Interior Design Award. Ester III was nominated for The MYS/RINA Award. We are now looking forward to attending the International Superyacht Society Awards for Design & Leadership at Fort Lauderdale next week. Reymond Langton Design is thrilled to announce that on Thursday 24th September, during the Monaco Yacht Show, Ann G was awarded the Nautilus Trophy by Editor-in-Chief Matteo Zaccagnino at Top Yacht Design. The Nautilus Shell is a symbol of the golden spiral, a great example of perfection in design. 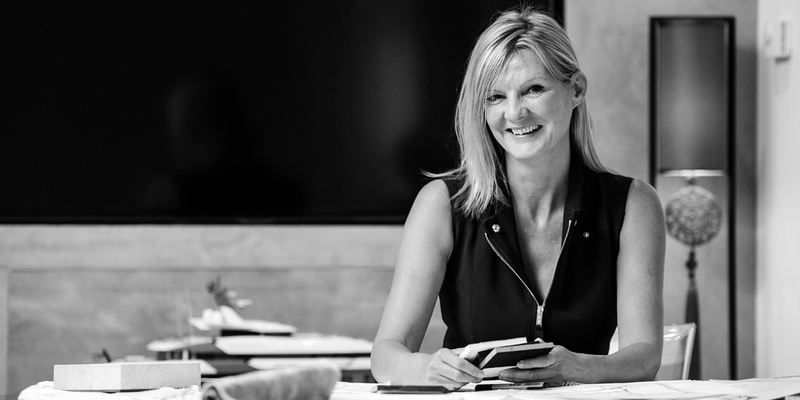 During an extremely successful Monaco Yacht Show for Reymond Langton Design, Lurssen kindly invited Pascale to talk about the interiors on board at an exclusive press preview of Ester III on Wednesday 23rd September. Pascale joined Espen Øino, the exterior designer, to converse their passion of design on board this impressive vessel. Approximately 30 journalists attended the exclusive preview. Pascale started the first day of the Monaco Yacht show by contributing to the unveiling of the innovative 57.70-metre AMELS 188 Limited Editions. Pascale has recently created the interior design for this wonderful project through her pure talent and reputation for attention to detail. The AMELS 188’s layout maximises guest enjoyment – from open decks with generous outdoor spaces to the 30sqm beach club and the wellness centre’s gym, sauna and Turkish steam shower. The full-beam owner’s suite covers almost 80sqm, and features a large folding balcony and mid-beam sliding doors for privacy. This is an exciting project for the team at Reymond Langton to be working on as this is the first in the Limited Editions range engineered right from the start with the AMELS Hybrid Power system. Amels has nearly completed the engineering phase of the AMELS 188, which has a preliminary scheduled delivery in spring 2018. 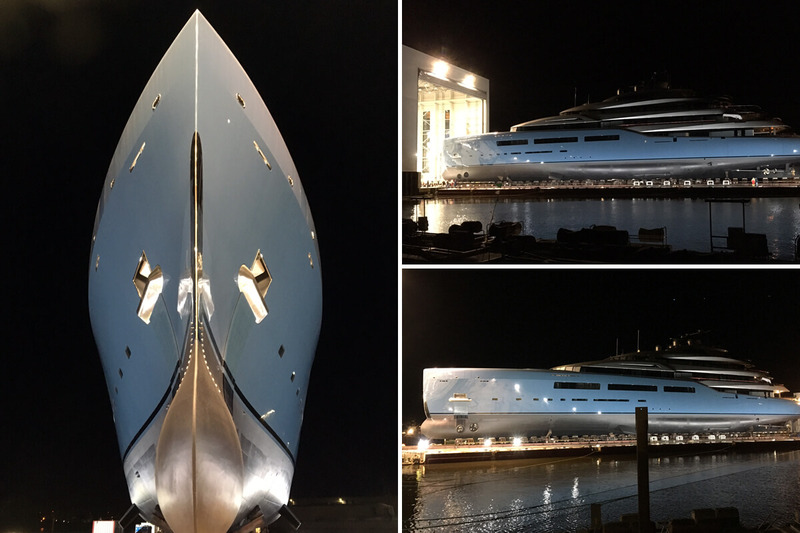 Friday 17th July 2015 saw the striking 50-metre Superyacht ANN G arrive in Rotterdam for her christening, the event was attended by Pascale, Andrew, Jason and Rebecca. She was launched by HEESEN last month. The exterior was designed by Clifford Denn and the interior was designed by Reymond Langton Design. Project Orchid completes sea trials! Project Orchid has successfully concluded her sea trials in the Baltic Sea under perfect weather conditions. Her final delivery is planned for late summer 2015. Reymond Langton Design have been responsible for the interior and exterior design of Project Orchid. The Exterior of Project Orchid is designed around creating a harmonious balance. From a distance, the sweeping curves and elegant proportions give the vessel a feminine beauty, whilst moving closer allows the strong, masculine details to emerge; sharp lines define the strong, sculptural surfaces that have been carefully styled to create a sharp contrast of highlight and shadow that lends the superstructure a unique form that subtly changes in different lights as the sun moves across the sky. The balance and proportion of the yacht’s profile also allows for generous exterior decks with a range of options for guests to enjoy, from sun-drenched, open entertainment areas to more sheltered, intimate, formal spaces. When the results of the secret ballot were announced, it was the 95.2 metre Lürssen yacht Kismet that headed the scoreboard. This yacht, they felt, is a true all-rounder combining impeccable construction, with appealing exterior design, great deck areas, and a tasteful interior that suits a wide audience. 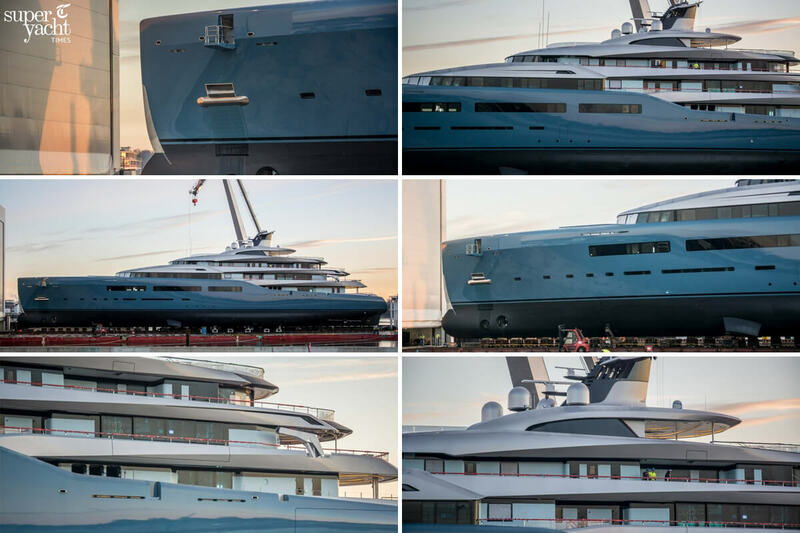 On the 30th April 2015 Lürssen launched project Orchid. She was launched from the floating dock 29 months after her keel was laid in 2012 and 19 months after her technical launch in 2013. Project Orchid is now being readied for her sea trials and will be delivered to her owners in fall 2015. She will be the second yacht Lürssen will deliver in 2015. Both Exterior and Interior design are by Reymond Langton Design. Project Orchid is a bold, contemporary design throughout. Personified both by the dynamic, sculptural shaping of the exterior, as well as the bright, elegant spaces in her interior. 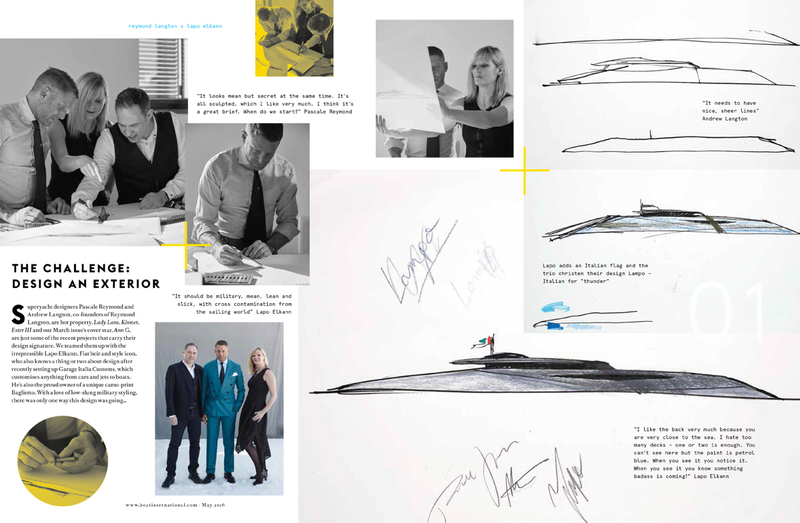 In February Boat International gathered the World’s Top 50 Super Yacht Designers for a photo shoot at the Superyacht Design Symposium to celebrate those who are at the pinnacle of the industry. Pascale is featured as one of the top Female Designers and Andrew is featured in The Brit Pack, which illustrates the leading figures in the British industry. The A List article is in the May edition of Boat International. Kismet arrived in London in November 2014. The 95m Superyacht was photographed by Michal Baginski by Tower Bridge before travelling further along the Thames. Her interior design was by Reymond Langton Design and exterior design is from Espen Oeino International. Reymond Langton Design are pleased to announce that Mondango3 won Best Sail 40m+ at the International Superyacht Society 2014 Design & Leadership Awards held in Fort Lauderdale, Florida on the 29th October 2014. Mondago3 is a 56m ketch launched by Alloy Yachts in New Zealand in November 2013 with interior design by Reymond Langton Design and exterior by Dubois Naval Architects. In 2009 Dubois Naval Architects, Alloy Yachts & Reymond Langton Design won the ISS Award for Best Sail 40m+ for the previous Mondango. Photo (From left to right): Ed Dubois from Dubois Naval Architects, Chris Brown from Alloy Yachts, Pascale Reymond & Andrew Langton from Reymond Langton Design.